At Nite Ize, we believe no product is too small or basic to be improved. 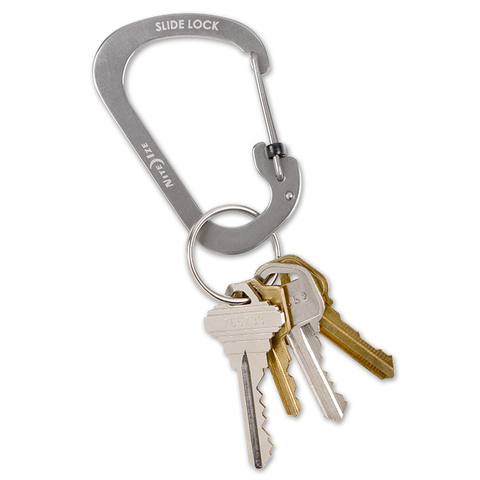 Exhibit A: the classic utility carabiner. We took a hard look at this ubiquitous device and saw two good opportunities to make it more efficient. 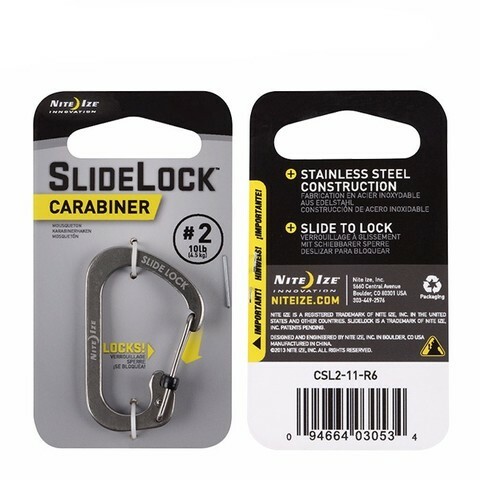 We designed an innovative slide-to-lock feature that securely locks the gate with a simple push and slide movement, and unlocks when you want it to just as easily. Then, instead of a bulky tubular construction, we designed a cross sectioned, rectangular stainless steel body that&apos;s durable, low profile, and slim; it feeds more easily through smaller openings and rests flat in pockets. Available in four sizes: #6 (to tackle the largest items), #4 (perfect for attaching to a belt loop or backpack to carry larger items), #3, and #2 (for carrying smaller items like keys, and attaching to zipper pulls).